In a function organized by the Uttar Pradesh government, PM Narendra Modi laid the foundation for several projects in Lucknow on Sunday. These are 81 projects worth ₹ 60,000 crore. As per the industry experts, this groundbreaking ceremony can create over 2.12 lakh jobs in the state. Infrastructure, food processing and information technology etc are the sectors in which these projects were launched. For these industrial projects, Noida and Greater Noida are two most preferred investment destinations. Apart from these two, the smaller places like Jaunpur, Hardoi, Shamli, Bijnor, Gorakhpur, Bareilly, Rampur, Mirzapur, Jhansi and Ayodhya are on the list. 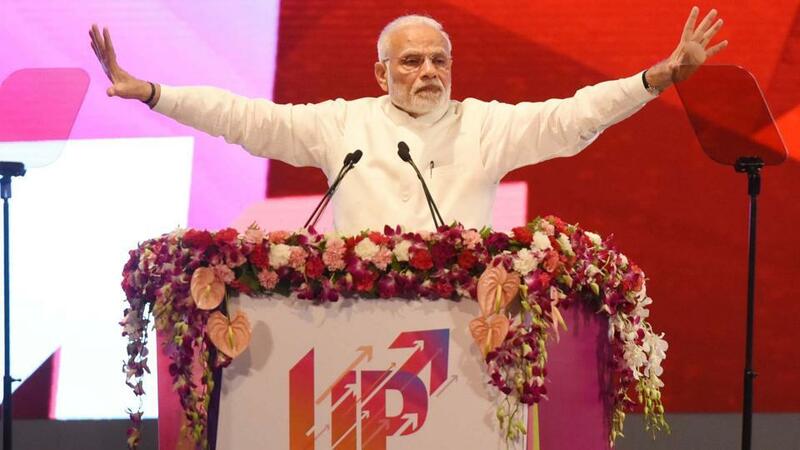 PM Modi said that to attract investments and promote industrialization in UP, an Uttar Pradesh Investors Summit was organized in February 2018. With this summit, investment from various sectors like renewable energy, infrastructure, power, IT and electronic manufacturing, tourism, etc started. He also added that previously bringing investment to Uttar Pradesh was a challenge but now it seems that the state is progressing. He lauded the CM Yogi Adityanath and state government’s sector-specific policies for these achievements. These all efforts have been made to make Uttar Pradesh a trillion economy. In fact, PM Modi made very frequent visits in July to the state of UP. The event was held at a huge level. Renowned 80 industrialists of the country participated in the event. The list included Adani Group chairman Gautam Adani, Aditya Birla Group’s Kumar Mangalam Birla, ITC Ltd managing director Sanjeev Puri, Essel Group chairman Subhash Chandra and many others.